Collector`s Item! 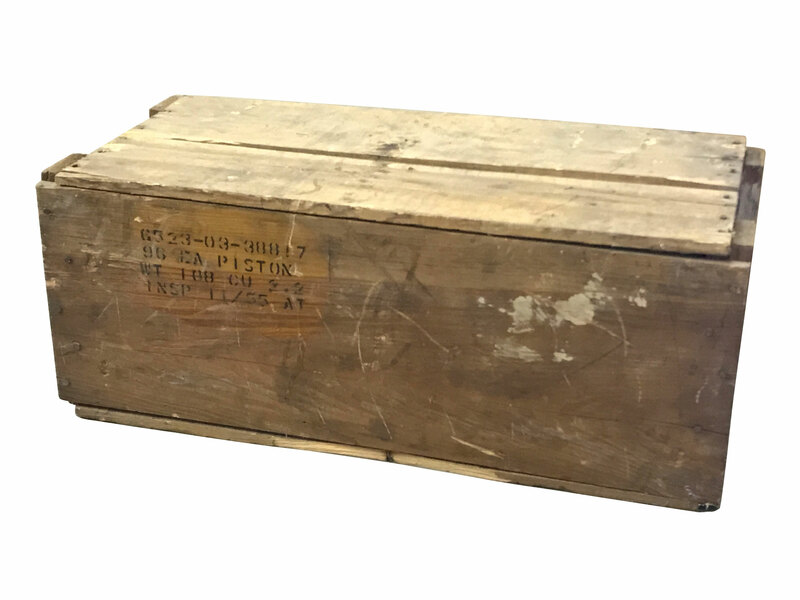 This is a military style crate featuring 96 Genuine Harley-Davidson Pistons with Rings (+.010) for Motorcycles used during the WWII era. Inside are 96 individual pistons with rings. 253-29 D Harley-Davidson Part Number labeled on each individual piston box. NOTE: Box may have some wear such as broken boards, wobbly wood, and light chips.